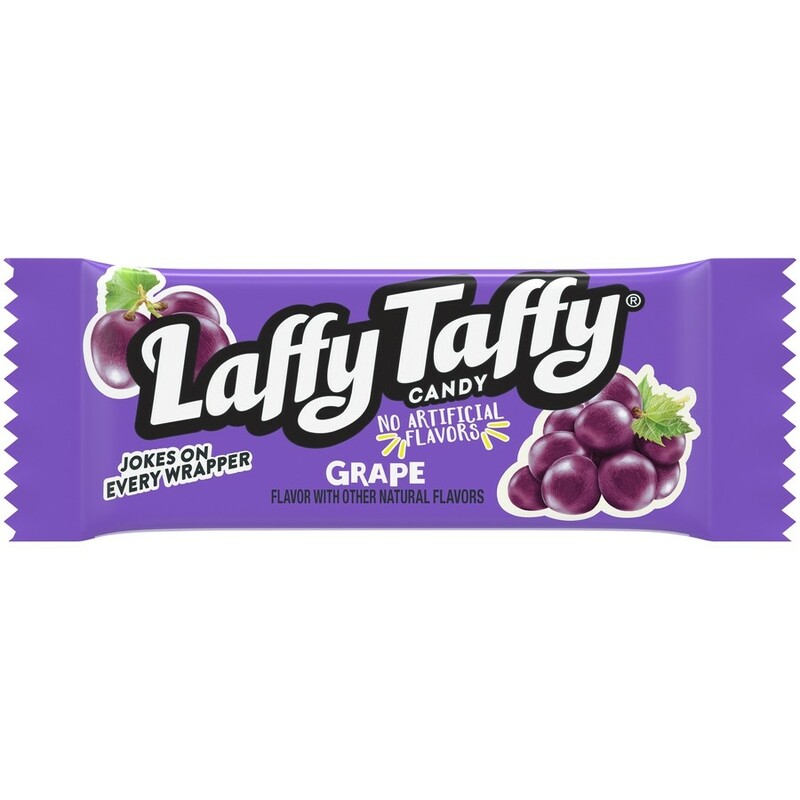 Laffy Taffy Grape Jar (145 Count) from Nestle, delicious chunks of grape flavored chewy taffy. 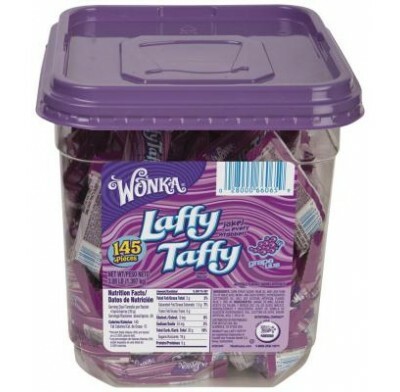 Individually wrapped candies come packed in a handy, colorful tub. Kosher Parve. 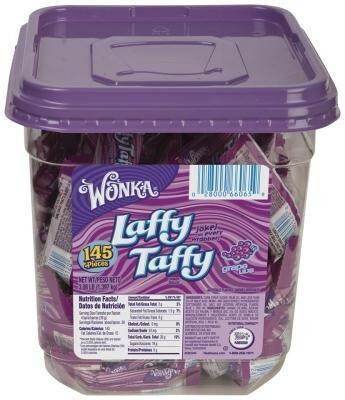 Packaged candy comes 145 pieces per tub.